What is the purpose of an MBA? I’m sorry to get all philosophical on you, but someone asked me the other day, and while I was able to rattle off a list of skills that I have learned since embarking on this journey (reading a balance sheet, calculating NPV, analyzing recurrent processes and finding inefficiencies,etc. ), I wasn’t able to come up with an overarching statement of purpose regarding what an MBA is supposed to be or do. I suppose I agree with Mintzberg, and with Allen, that you can’t expect to learn how to be a manager from an MBA program. From what I’ve seen so far, getting an MBA is unlikely to make someone a good manager. But maybe that’s not a problem. I’m finding plenty of value in learning the “functions of business” and in learning to perform the types of analysis that are particular to business. In fact, maybe a better title for the degree than Master of Business Administration would be Master of Business Analysis. But what if what you really want to learn is how to be a manager? If you can’t learn management in a business administration program - and frankly I agree with the two previously mentioned authors that if this is what you want to learn, then business school is probably not the place for you - where do you learn that skill set? I have four suggestions on where to start. I recently read a book called Business Without the Bulls%*t, in which the author starts the book by claiming that everyone is essentially a freelancer. What he means by this is that a good worker needs to manage him or herself - understand what is expected of you at work, and get things done well and on time without much oversight. The first place to learn management, then, is by managing oneself. You can find lots of great personal productivity tips on YouTube. Degreed.com also has a great Productivity Learning Pathway with some very useful resources. 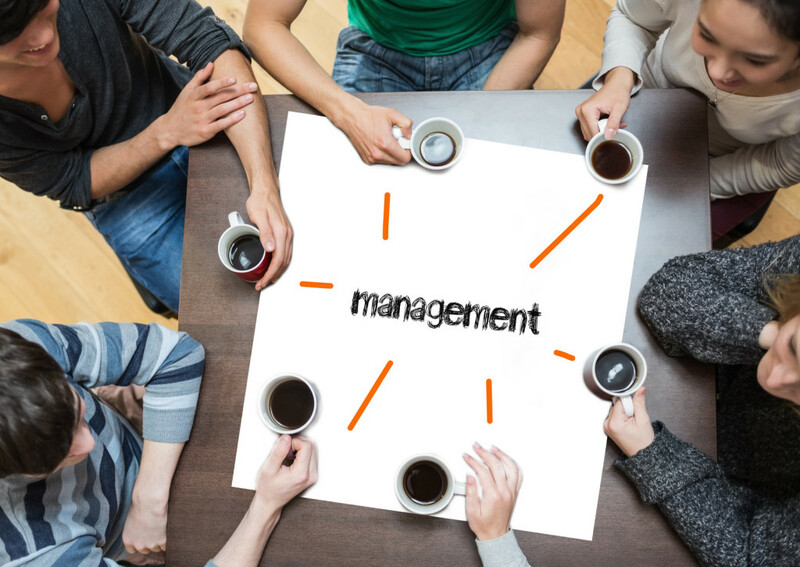 The second place to learn management is by managing your boss, also known as “managing up.” This is an extremely important skill in most if not all workplaces. Business with the Bulls*%t has some great, specific suggestions on how to do this. The key is to take your boss’s perspective of the work that needs to be done, and then act so as to make it happen. It means knowing the details of a particular task even better than your boss does, so that you can anticipate what kind of time and attention will be needed from your immediate supervisor and also his or her supervisors. It means seeing how your work fits into the bigger picture, identifying gaps, and filling them in. One of the best ways to get management experience is to manage a process with a specific desired outcome. Even if no one reports to you on their day-to-day work, you can still get valuable management experience by taking the lead of an ad-hoc team that is expected to produce a certain product or result. I do believe that the best place to learn management is in the classroom - just not as a student. I spent two years as a middle school teacher, and looking back on that experience, I’ve come to understand it as an excellent crash course in management. In fact, teachers even use the term “classroom management” to describe techniques for keeping students on task. The more motivated and self-disciplined people are, the less they need to be managed by someone else. Children are not known for their self-discipline, which is why management in the classroom can be a trial by fire. But a good teacher can always tell you what the students are supposed to be doing - and tries to minimize the time that students are passively absorbing information. Likewise, teachers who make classroom management look effortless are those who are able to understand and harness the innate motivations of their students. Shouldn’t a good manager be able to do the same for their employees? If you give people work that uses their talents, engages their interests, and then allow them to do the work in the way they see fit, they will require very little management from above. And a manager who understands the value of his or her employees’ time will likely ask them to spend less time in meetings where their only expected role is to absorb information. 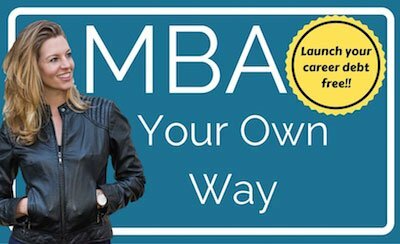 I’d be curious to hear from readers - what do you think is the purpose of an MBA? Are there management skills that are no easier learned as a student in a brick-and-mortar classroom than as an online student? If so, what do you see as the best way to pick up these skills? Click here for 50% off my online course, and get started on a DEBT-FREE business education! 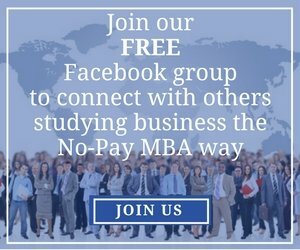 Stay up to date with No-Pay MBA! 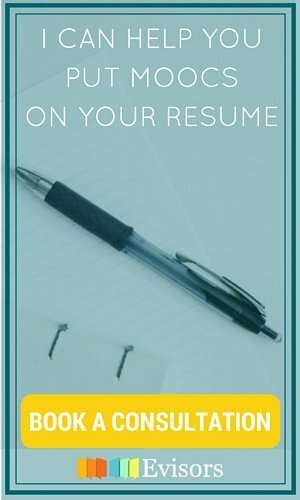 Are you interested in starting a No-Pay MBA? 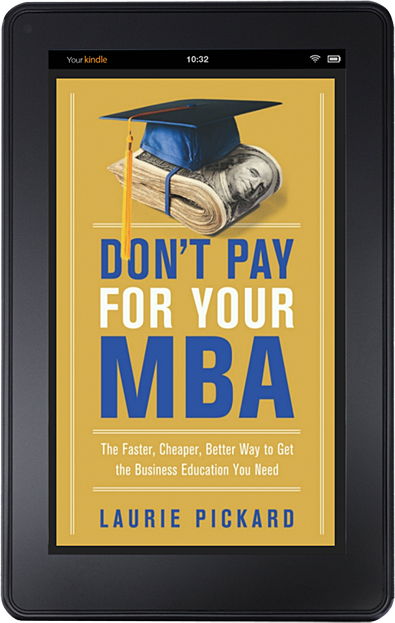 Enter your email to get the first chapter of my book "Don't Pay For Your MBA"
*Click here for 50% off my online course, and get started on a DEBT FREE business education!